One of the oldest livery companies, the first records of the goldsmiths company date back to 1100, although it is believed they were around before that time. No written record exits of the date of their formation, however there is a record of them being fined 45 marks for having been formed without the consent of the king. Their coat of arms features a golden head of a leopard. During the 12th and 13th century the practice of "clipping" became widespread. This was a means of diluting the purity of the coins, taking out a share if you like. I guess the saying clipping the ticket dates back to this practice. A set of regulations was introduced in 1299 by Edward I to ensure the purity of the gold used by English goldsmiths. They were not to use anything "that had the touch of Paris," a term used referring to foreign gold. To identify the regulated gold, it had to be marked with the leopards head before leaving the makers shop. This was the first hallmark. That was very interesting. I wonder why a leopard was chosen as the symbol. 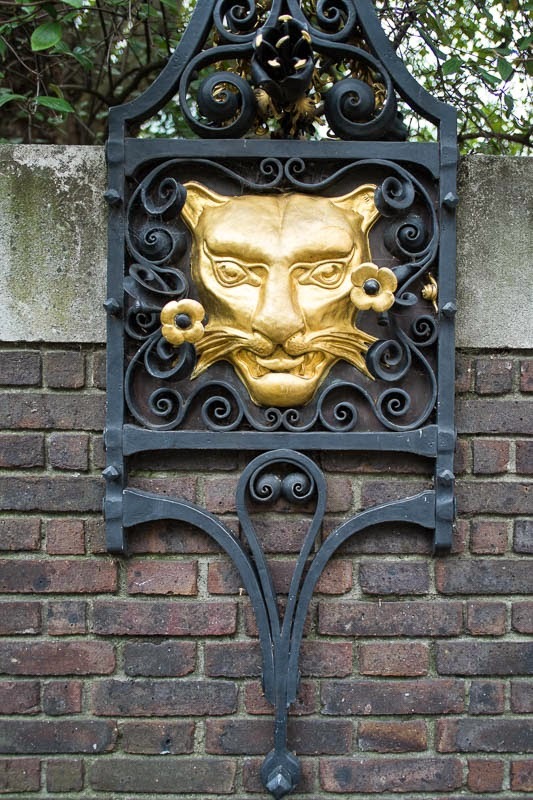 To answer my own question: Apparently the leopard was the King's mark and the goldsmiths used this under his instructions. Edward I was apparently described as "Warlike as a leopard." It also appears that their was some confusion at the time about leopards and lions. In heraldry the three lions on the Plantagenet shield were formerly known as 'leopards'. The marking of coins took place at the Goldsmiths' Hall and consequently the process became known as 'hallmarking'. I learned a lot from your post and even more from John's helpful comments.